The long slog toward Opening Day is almost over for the New York Yankees and as such the roster is rounding into form. The Yankees still have final decisions to make, but the participants in competitions are dwindling. Gary Sanchez lost his chance to break camp last week after showing signs of needing more work, and the fact that his service time clock was an issue, the move makes absolute sense. Austin Romine and Carlos Corporan remain in camp, with the former likely the favorite to back up Brian McCann to start the season. Rob Refsnyder was giving every opportunity to show he could handle third base, and then took two bad-hop bouncers to the face across two straight games. He needs more work there and the Yankees are going to give it to him at Triple-A Scranton/Wilkes-Barre. Refsnyder might be disappointed, but he should be happy the Yanks see enough in him to want to continue the experiment. Plain and simple, he cannot and would not get regular reps at third base in New York while he can at Triple-A. Ronald Torreyes and Pete Kozma are the players left at Yankees camp. I would rather see Torreyes given the job of the two simply because he might have a little more bat in him than Kozma. Both players are able to play second, short and third base which is exactly what the club needs. There is of course a chance that the Yankees make a late spring move to bring in a player who they feel is comfortable playing those positions. CC Sabathia pitched exactly how the Yankees will need him to during the season in his last appearance – 5 IP, 2 ER, 6 H, 1 HR, 4 K, 1 BB. Meanwhile, Ivan Nova was awful in his last start – 4.2 IP, 5 ER, 5 H, 3 HR 5 K, 3 BB. I have felt from the beginning that CC would claim the fifth starter if all others were healthy and I remain confident that is how this will end with the same health caveat. If the Yankees send Mitchell to Scranton to stretch out, then Johnny Barbato is likely to grab a spot. If not Barbato might be the first reliever called up when the SWB/NY shuttle service begins. With one week to go, manager Joe Girardi has plenty of choices to make. The New York Yankees have six starters for five spots. Manager Joe Girardi has been adamant that the "best five" will be in the rotation with the sixth being relegated to the bullpen. CC Sabathia has had the worst spring of the six thus far, yet until I hear it from the horse's mouth, I won't believe the club will shift the 35-year-old veteran to the bullpen. Forget the money (though it's an unavoidable hitch), forget the humility, think about what the club needs right now. The fifth starter on any team is a crapshoot. They'll have good games, but likely more bad over the course of season. Sabathia's start Friday night was a microcosm of that type of performance. He was shelled early allowing four runs in the first inning including a home run. Then he settled down and didn't allow another earned run the rest of his stint (he allowed three more runs, but was undone by an error by third baseman Rob Refsnyder). So, let's look at this way, is Sabathia better in a starter role every fifth day than Ivan Nova? Or is Sabathia going to provide more assistance to the bullpen? Sabathia has ZERO innings in the bullpen. His pitching profile DOES NOT fit the bullpen, and you're foolish to think Sabathia will be the one getting mop up innings in games that get out of control at the onset of the season; not for the investment they have in him (I told you the money was in play). Right now, the Yankees have too many questions about middle relief with closer Aroldis Chapman out for the season's first month creating an extra hole and young pitchers performing erratically early on. Nova on the other hand CAN help in the pen. He's not exactly experienced in the role, but at least he'll be able to utilize his repertoire of pitches to get important outs. 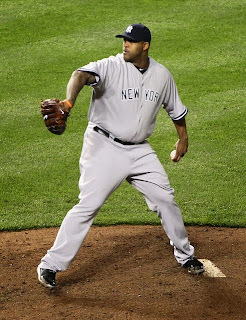 I cannot see that in Sabathia. 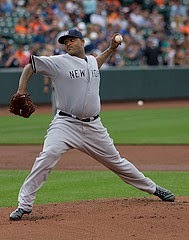 What does the scenario of Sabathia in the rotation and Nova to the bullpen to start the season provide the Yankees? Time. One month to assess CC in true action (where the pitcher is not "working on stuff") in an effort to see if he can or cannot at least keep the club in the games he pitches. That's all a fifth starter is really supposed to do and for the life of me I still believe Sabathia has it in him to become a viable back end of the rotation starter. Until I see Sabathia eating sunflower seeds with Dellin Betances and Andrew Miller in the bullpen, I won't think otherwise. The New York Yankees presumed Opening Day starter, Masahiro Tanaka, endured his first rough outing of the spring, while future ace in the making, Luis Severino sparkled once again in Thursday’s matinee. Tanaka opened the spring with a five scoreless innings, but he threw 57 pitches in just two innings and allowed two runs on four hits Thursday, including a home run to Andrew McCutchen. 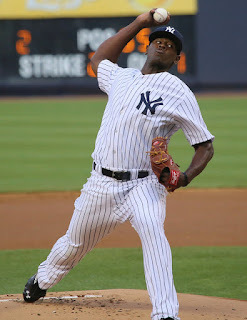 Severino looked rusty in his first start of the spring (five earned runs), but has now made three straight scoreless appearances since (10 2/3 innings) with 12 strikeouts and zero walks. Sticking to the “it’s-too-early-to-tell” mantra, we are talking about seven total innings of work for Tanaka and 12 for Severino. Tanaka has stated he has been disappointed in his fastball the past two starts and seems to understand that things need to get better quickly since he has just three starts left before Opening Day. I’d temper expectations for Severino, not because I don’t feel confident in his abilities – I certainly do – but more so because he is young and inexperienced and he’ll have his growing pains. Nonetheless, it’s great to see Severino pretty much picking up where he left off 2015 and I’m excited to see him continue to blossom. I have to hand it to Rob Refsnyder. The young man is resilient and determined to make the Yankees in any way possible. The Yankees have transitioned him from the outfield to second base, and this spring asked him to learn third base even though he still needs work at second. The Yankees like Refsnyder’s right-handed bat – the reason he is still around – and they must be impressed with his demeanor. Refsnyder openly said he would do whatever it took to make the squad this season. 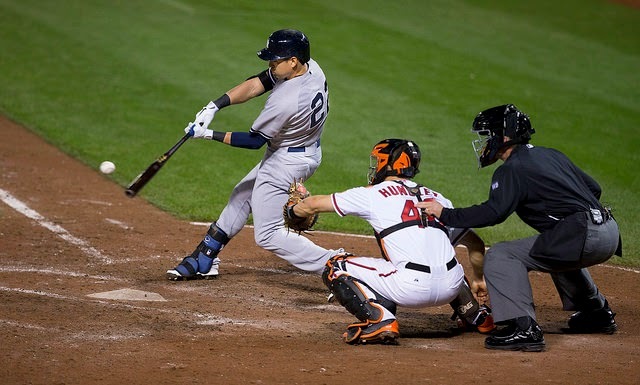 He’s performed OK at the plate – 5-for-22, .701 OPS and he hit his first home run Thursday – and maybe more importantly he’s shown an ability to be serviceable at third base while showing no signs of it affecting his learning curve at second base. In my view, Refsnyder makes the team provided he stays healthy and the wheels don’t come completely off from this point on. At 22 years old, no one should expect Luis Severino to be great every time he takes the mound, but was pretty darn good Saturday afternoon against the Tampa Bay Rays. Severino hurled 3 2/3 innings of four-hit ball without allowing a run. Severino struck out four batters and walked none while locating 43 of his 59 pitches for strikes. Yankees manager Joe Girardi was pleased with the effort. "He looked good, really good," Girardi said according to MLB.com’s Michael Kolligian. "That's what you want to see out of him; he threw all his pitches, controlled innings for the most part. Velocity was great. Slider was good today, his changeup, he threw a couple good ones." Speaking about the Yankees offense seems pointless since only one everyday player, Carlos Beltran, made the trip. He's doing just fine, hitting .417 this spring. The configuration of middle relievers remains a mystery. Johnny Barbato (two earned runs on two hits) looked like a Triple-A reliever for the first time this spring, and James Pazos (allowed an inherited runner to score, facing a lefty) is not making matters easy on himself with his performance. Nick Goody struck out all three batters he faced, marking his third straight scoreless appearance. Branden Pinder should remain in good graces as he tossed a clean frame as well. It’s early, but Masahiro Tanaka is settling some concerns the New York Yankees might have had after the right-hander had surgery to remove a bone spur following last season’s 24-start effort. Tanaka has now tossed five scoreless innings this spring after a three-inning stint Friday. 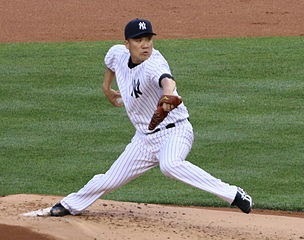 Tanaka allowed one hit, hit a batter and struck out three hitters. Tanaka also generated five ground ball outs and allowed just one fly ball, which is good news for a guy who frankly allows more homers than one would like. Granted, the Orioles sent a minor league squad to Tampa, but as I watched Tanaka throw, I thought the major league regulars would not have had much success either. Tanaka threw 30 of his 40 pitches for strikes and Brian McCann liked what he saw. "He's in total control of what he's doing, and I just go off of him," McCann said according to Bryan Hoch at MLB.com. "He's throwing the ball great, he's moving around great. He doesn't seem to have any problems. I think he feels really good." Tanaka wants to pitch 200 innings this season, and if he can manage it, I suspect he’ll compile the type of numbers that warrant his $22 million salary — 18 W, 210 K, 2.85 ERA — #TanakaTime. The Yankees scored all seven of their runs with two outs which made Yankees manager Joe Girardi quite pleased and surely stressed out Orioles manager Buck Showalter. Buck will tell anyone who cares to listen otherwise, but going winless for the spring thus far has got to be starting to eat away at him. Chasen Shreve looked to be in midseason form quickly dispensing of the four Orioles batters he faced, striking out two. I wrote at SNY this week that Shreve was going to be an important factor in the Yankees bullpen. He’s been great this spring — much like he was for the first 83.3333 percent (that’s five of six months) of the 2015 season. The Yankees would be ecstatic if Shreve could be the fourth man in the bullpen able to handle critical innings in 2016. Finally, it looks to me that the combination of Didi Gregorius and Starlin Castro up the middle is going to work out just fine. The double plays I’ve seen them turn have been smooth. There might be some growing pains along the way, but so far there seems to be a cohesive tandem growing here. The New York Yankees had their first day of split-squad games Thursday with plenty of developments coming from each game. 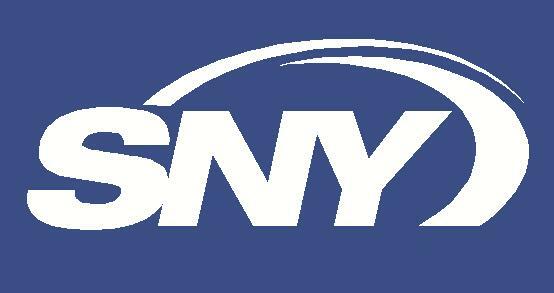 Note: Most of my feature work and all rapid reactions to breaking news will continue to be written for SNY. In order to keep Yankees Unscripted filled with fresh content, I’ve developed Quick Pitch which will be a game/news recap from the previous day written in swift, informative, opinionated and sometimes snarky fashion sticking to the Yankees Unscripted motto to "avoid the narrative." This will not be a traditional recap (Ellsbury singled, Gardner doubled and Teixeira homered to give the Yankees a 3-0 lead), you can get that from the beat writers. I hope to get Quick Pitch up daily, but if I don’t I’ll rewind to the previous Quick Pitch post. Thanks as always for reading. At home, Nathan Eovaldi tossed two solid innings in his first start of the spring. Eovaldi was able to dial it up to 99 mph with his fastball and his offspeed offerings looked good as well. We'll see how he feels Monday before getting too excited. Andrew Miller allowed two runs on four loud singles. Miller did strike out two batters, so take the hits as a part of getting ready for the season. Dellin Betances followed with a clean inning including a strikeout. It should be noted that he looks much better early on this spring compared to last season. That’s a big deal for Betances because his mechanics take a while to catch up to the ability to throw the ball 100 mph. Finally, Aroldis Chapman took the hill for his first game action of the spring and was very erratic. He walked two batters and hit two others, allowing one run in the process. Chapman also expressed feeling great physically, and was working on his offspeed stuff, which was actually much better than his fastball which topped out at only 99 mph. Ben Gamel showed off his fielding skills, showing his best Superman skills to rob Russell Martin of extra bases. Here it is. Yankees manager Joe Girardi told The New York Post’s George King III before the game that the team will stop the “Starlin Castro learning third base project.” Castro, the Yankees starting second baseman, has just 33 games under his belt at the keystone, so the move makes plenty of sense. The news of Castro not being tested at third base is potentially a good omen for Yankees rookie Rob Refsnyder, who has been tasked with learning the position as well. Refsnyder’s bat makes the Yankees excited, but he needs to be better than adequate at second base and third base in order to be the favorite for the final bench spot when camp breaks. Bryan Mitchell tossed three innings of one-run ball. So long as there are no injuries with the Yankees rotation, Mitchell figures to begin the season with Triple-A Scranton/Wilkes-Barre. I personally feel keeping Mitchell stretched out is the best bet for the Yankees, but we'll see how it works out. Jacoby Ellsbury went 2-for-3 raising his spring average to .333. Ellsbury needs to get off to a strong start and most importantly stay healthy so he can lead the charge at the top of the Yankees order. Living up to that contract would be nice, wouldn’t it? As Yankees' Chapman takes the field how will fans react? New York Yankees closer Aroldis Chapman made a mistake; a terrible one that will deservedly follow him for the rest of his life. He’s been suspended 30 games by Major League Baseball for his involvement in a domestic violence incident with his girlfriend, who is also the mother of his child. He steps on the mound in a game for the first time Thursday. What type of reaction will he receive, and is there a correct one? Chapman might have physically harmed his girlfriend (he continually denies it), but at the very least he intimidated her by retreating to his garage with his gun in hand and proceeded to fire eight rounds into it. The gunfire he admitted to, and apologized for, but I do wish Chapman understood that his action in the garage, while his girlfriend frighteningly hid in the bushes and his child was in the house, is abuse in and of itself. He doesn’t, but hopefully he can learn from his indiscretions as he moves on. Obviously not being a woman, I cannot fully understand what any female (whether abused in the past or not) feels about this situation. I’ve never had to intimately deal with this type of circumstance. Women are well within their rights to resent Chapman and to protest his presence on a baseball diamond. If female fans (or male fans for that matter) choose to boo Chapman and hold up signs admonishing his actions, so be it, he deserves it. I tell women who want to make life difficult for Chapman by making their voices heard to go for it. Chapman’s taking the field for the first time cannot and should not overshadow what he did, but at the same time fans ought to be able to cheer for him if they want. I’m talking about baseball fans cheering for the player who is working to help their favorite team win. I’m not speaking about idiots who believe and outwardly suggest that women deserve to be abused in various forms. That’s asinine, and there is no place for that in the game, or in our society. I will suggest there are fans who simply want their team to win and will cheer wildly for Chapman when he takes the mound, and that does not mean they condone his off-field actions. Chapman is a big part of the equation to the Yankees’ success this season. 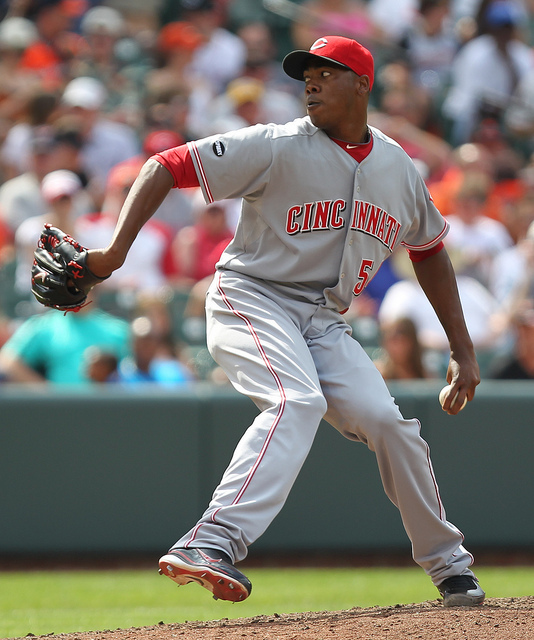 Chapman’s blazing fastball is exciting to behold, and his presence adds to an already dominant backend of the bullpen. Fans of baseball will eat that up all the time. In my opinion, it is possible to root for the player, respect his abilities in the game, and not want to emulate his persona. Fans who decide to root for Chapman don't necessarily want to hang out with him, but they do want him to pitch well for the Yankees. If Chapman excels, the Yanks might win, and when we are talking about a baseball game, that’s all fans want. When reasonable fans walk away from the field, they can praise Chapman’s performance and still understand that great athletes are not always the best people. We can explain to our children that treating women, or any human being, with decency and without violence is vital to advancing our society. We must add that an athlete or any person who lives in the limelight is not removed from that responsibility. When Chapman steps on the rubber today, on May 9 or next season, whether you boo or cheer, understand one’s feelings about him can be split two ways; into the player and the person. Note: I understand some readers might take issue with my stance here and I fully respect your opinion. Please feel free to leave a comment while being respectful of mine. New York Yankees right-handed pitcher Bryan Mitchell holds an important key to the club’s success this season. The question is which door will his key unlock; the one for starters, or the one for swingmen? Mitchell has long been a promising arm in the Yankees system. He spent a good deal of the 2015 season bouncing back and forth between Triple-A Scranton/Wilkes-Barre and the Yankees. He started 15 games with the RailRiders compiling a 3.12 ERA across 75 innings. 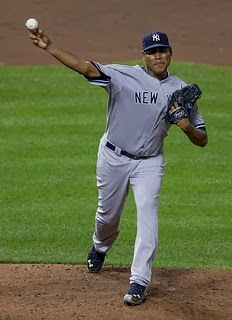 With the Yankees he made 20 appearances, 18 of them out of the bullpen. His stints with the Yankees in 2015 proved to be an up and down affair. Before being hit in the face with a line drive August 17, Mitchell had tossed 19.1 innings with a 3.72 ERA. He struck out 20 batters and walked six. He was not electrifying, but he was more or less effective. However, once he returned to the mound after missing nine games recovering from a nasal fracture Mitchell was awful – 10 G, 8.2 IP, 12.46 ERA. It’s certainly possible the line drive affected his performance, but regardless, he’s in camp with something to prove and this season could be a turning point in Mitchell’s career. The Yankees have discussed seeing if Mitchell can claim the role Adam Warren held the last couple of seasons as reported by Chad Jennings of The Journal News; in the bullpen for long relief, but ready to start games in an emergency. The other option for Mitchell would be to keep him stretched out in Triple-A and simply call him up to make spot starts or take over a rotation spot in case of a lengthy injury to one or more players (Ivan Nova would seem to have the upper hand for extended runs as the sixth man in the rotation depth chart). Warren did a great job as a swingman, but he often said it was not easy. It remains to be seen if Mitchell can comprise the role. In my view Mitchell might be better off staying in Triple-A in order to hone his skills as a starter. He’s only logged 116.2 innings (23 starts among 24 appearances) at the level. It would seem to me that he’s got much more to learn as a starter, and that his value will be better served as such. I don’t want to say that the Yankees should abandon the idea of using Mitchell as a swingman, but I would be testing it in the spring and gauge how he looks and reacts to the circumstance. I assume that’s something the Yanks will try to do. Keeping Mitchell stretched out would also allow him to raise his innings total (he tossed just 113.1 innings in 2015) so that if he is successful this season, he could be looked at as a viable starter who is ready to contribute substantial innings next season. If Mitchell is used as a swingman for much of this season, it will be difficult to get him to provide the necessary number of innings as part of the rotation in 2017. It will be interesting to see how this unfolds, and of course a lot of what happens with Mitchell is completely reliant on the top five starters and their health. Whatever role he is assigned, Mitchell could be a pivotal cog in the Yankees pitching staff in 2016. Is he up for the challenge? The New York Yankees first spring training game of the 2016 season was one of the more entertaining exhibition games I’ve seen, if not the most. I’m not sure if it was the game itself or the game and following #YankeesTwitter. Here’s my recap with accompanying #Hashtags. I could tell early on the emotions of Yankees baseball returning was overwhelmingly euphoric for some. While others simply couldn’t wait to beat down the team. The Yankees started with a flare courtesy of starting pitcher Luis Severino who set down three Detroit Tigers hitters in a nine-pitch flurry. Unfortunately, as good as Severino was in the first, he looked lost in the second once he was forced into the stretch on the mound. Severino allowed five runs, four via a grand slam and left the game with just one out in the second. The Yankees allowed a run each in the third and fourth inning, and found themselves down 7-0. Fortunately it was the first spring game of the season, so I kept watching along with plenty of others who were also just happy Yankees baseball was back. The Yankees didn’t get a hit until new second baseman Starlin Castro singled in the bottom of the fourth inning leading to three runs. Castro added a double and turned in an excellent play at second base. The Bombers followed with two runs in both the fifth and the sixth, and eventually took the lead in the eighth inning with another run. It’s just a spring game, but the team’s youngsters were having nothing with losing the opener, and I was happy I stuck with the game. Until, of course, the Tigers shot back ahead 9-8 after a two-run home run. But Jorge Mateo ripped a ball to left field to lead off the bottom of the ninth. He got into his home run trot too soon as the ball hit the wall. Mateo then went from 0 to 60 faster than one of Yoenis Cespedes’ Slingshots, earning a triple. Austin Romine drove in Mateo with a single to tie the game. Tyler Wade pinch-ran for Romine and then scored the winning run when Tigers’ outfielder Justin Krizan misplayed a fly ball hit into the high sun by Dustin Fowler. As a whole, the Yankees looked exactly as one would expect in the first spring training game of the season, but one thing is in midseason form and that’s #YankeesTwitter.